Introduction. 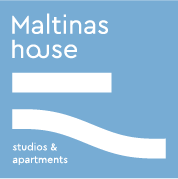 Maltinas House, is managed by AB INTRA IKE. Cookies are also used for statistical or marketing purposes, to determine how the Website is used. These cookies are provided by us as well as by third parties (e.g., advertising partners). While we do not control or have access to the advertiser cookies we do permit those cookies to be used on this Website to facilitate tailored advertising and to monitor patterns of buying specific goods or interest in – for example, holidays or hobbies. These cookies run advertisements tailored to the user based on his online buying habits. Vendors and Service Providers: We may disclose your information to vendors and service providers retained by us in connection with our business such as: travel services companies, financial services companies, property owners’ associations, vacation insurance companies, website hosting, data analysis, payment processing, order fulfillment, information technology and related infrastructure provision, customer service, email delivery, credit card processing, tax and financial advisers, legal advisers, accountants or auditing services. Merger or Acquisition: A third party who acquires any part of Zeus International Company itself or any of its Affiliates, whether such acquisition is by way of merger, consolidation or purchase of all or a substantial portion of our assets. Disclosure Permitted by Law: Law enforcement authorities, government or public agencies, regulators, and/or to any other person having appropriate legal authority or justification for receipt of your information, if we believe that we are required or permitted to do so by law or legal process, to respond to claims, or to protect the rights, property or safety of Zeus or others. International Transfers: We are an international company and we may, subject to applicable law, transfer your information, to our Affiliates or selected third parties where information protection standards may differ. For example, your information may be stored on servers located in other jurisdictions. We will take steps to help protect your information when it is transferred. Access to Information We Hold about You: If you would like to access, obtain copies, update, correct or request that we suppress or delete any of the information we hold about you or if you require further information from us about how we use your information please contact us at info@abintra.gr.